From multinational companies to msmes, every business entity understands the advantages of outsourcing. With ever increasing business demands companies want to stay focused on their core business activity and outsource support services to save time & energy. To remain competitive they want to reduce costs and enhance employee productivity. We provide manpower to the our client with , well educated, well experiences, from the local resources and registered user. We are deal in Manpower Outsourcing in CorporateIndustrialConstruction etc. to India and Abroad. MIKCO is having IEC code with FIEO registration. Douglas Management Consulting Pvt. 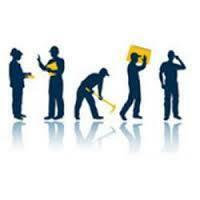 Ltd.
Lead Manpower Services Pvt. Ltd.
Zedpoint is one of the leading manpower outsourcing organization in India. Zedpoint helps all business houses across the sectors across the country to focus in their core business area by handling all back end processes in efficient manner. For manpower outsourcing, hr consultancy, labour law consultancy, payroll management, labour law compliances, manpower recruitment.